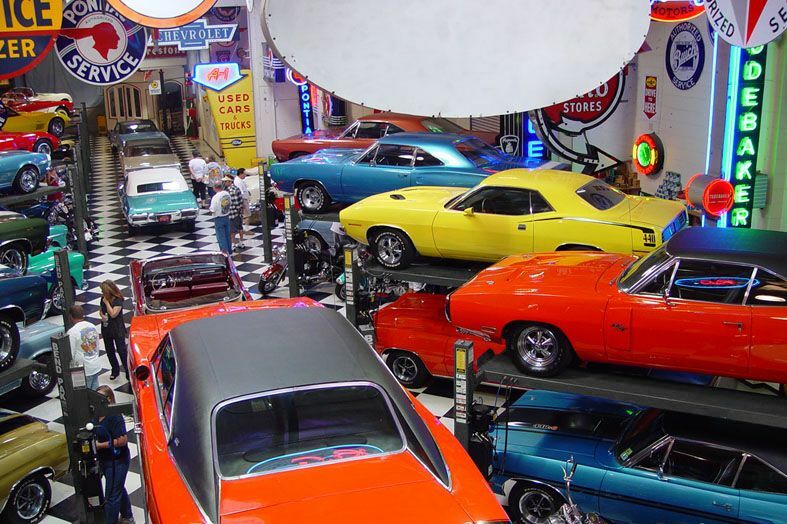 Huntington Beach, CA is home to one of the coolest vintage muscle car shops in the United States. 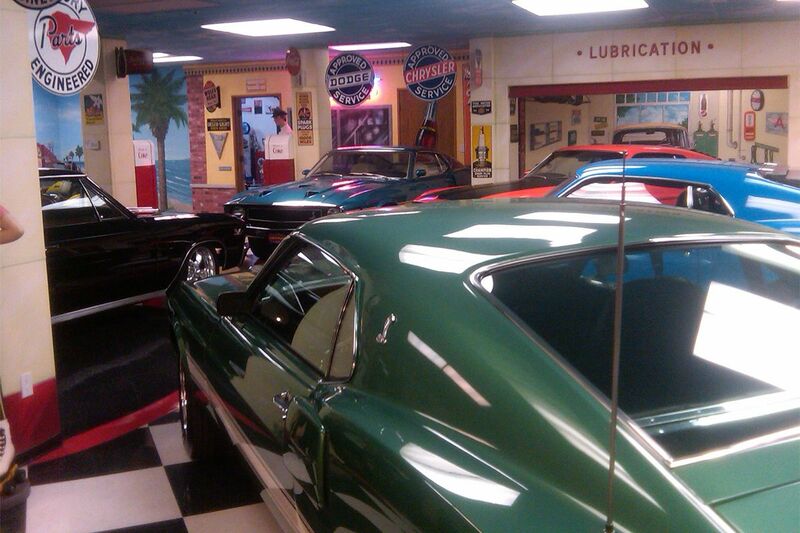 Surf City Garage is where America comes to rejuvenate its senses and fall back in love with its past all over again. With a wide-range of BendPak two-post lifts and four-post lifts, this is the swankiest shop in town. Surf City Garage isn’t your average auto shop. It’s not even your above-average shop. The owner, Tim, has cultivated a sense of motor-heaven escapism and fantasy. The welcome area looks more like the entrance to a five-star hotel. There’s also a mock 50s diner where visitors can grab a soda or beer. The main garage features a ton of GTOs, among other muscle cars. They’re all totally restored and look pristine. 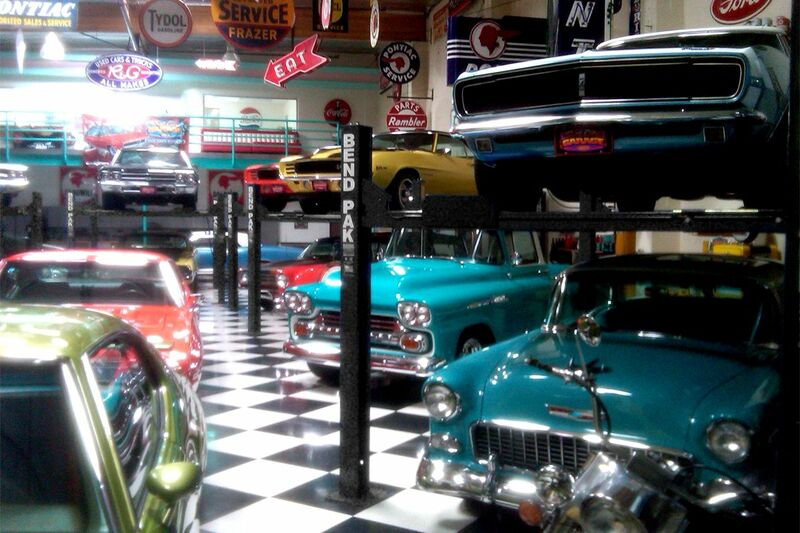 Many of them are on a BendPak four-post lift, which proves that a compact four-post is a must-have tool for any showroom. Just when you think you've seen it all, there’s yet another room to visit: a car museum with an auto lift stationed every few feet. ​Their particular setup is absolutely necessary to fit ​so many cars in such a tight space. There are literally dozens upon dozens of fully restored muscle cars from the 50s, 60s and 70s. Those four-post lifts are artfully arranged, though, so they don’t look cluttered. Tim is one of the most meticulous car collectors and shop owners in the country. He’s also one of the only collectors to drive virtually every single one of his vehicles—not just to and from car shows, but for fun! If you’re ever in Southern California, hang ten and stop by Surf City Garage. Take a few shots of the ​BendPak lift display if you really want to see how to make a showroom pop.